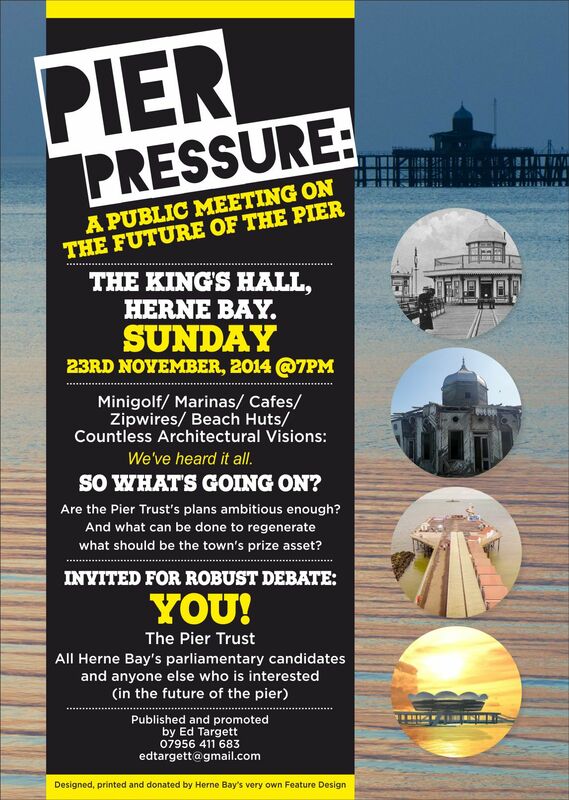 I’m looking forward to a frank, constructive and positive meeting to help put some of the infighting to bed, help those with different opinions part directions peaceably if need be and perhaps create a forum in which those committed to a Pier rebuild can pursue their independent vision in a positive, manner that does not detract from the Pier Trust’s platform plans. The Agenda depends partly on attendance (Sir Roger Gale, for example, has already sent his apologies but has parliamentary business (on a Sunday?) and won’t be able to attend. I hope for a presentation with questions by the Pier Trust on their current plans; a review of the reports that have been published thus far and some discussion on long-term rebuild plans. See you all there! Sunday 23rd, 7pm. Call me if any questions.